Olivia’s toymaker father, Hiram, is kidnapped by a bat with one wooden leg. this bat takes Hiram to Professor Ratigan, who is planning on ruling the world. Ratigan asks Hiram to recreate Queen of the Mice in the shape of a clockwork robot, and Hiram only accepts when Ratigan threatens Olivia. 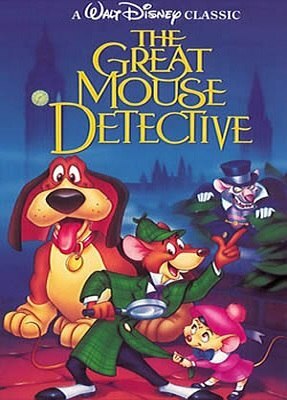 Meanwhile, Olivia goes to Baker Street looking for Basil, a famous detective known for being the nemesis of Ratigan. At first, Basil does not want to participate in the rescue, but when he finds out that it was Ratigan’s fault, he decides to find him and eliminate the threat.